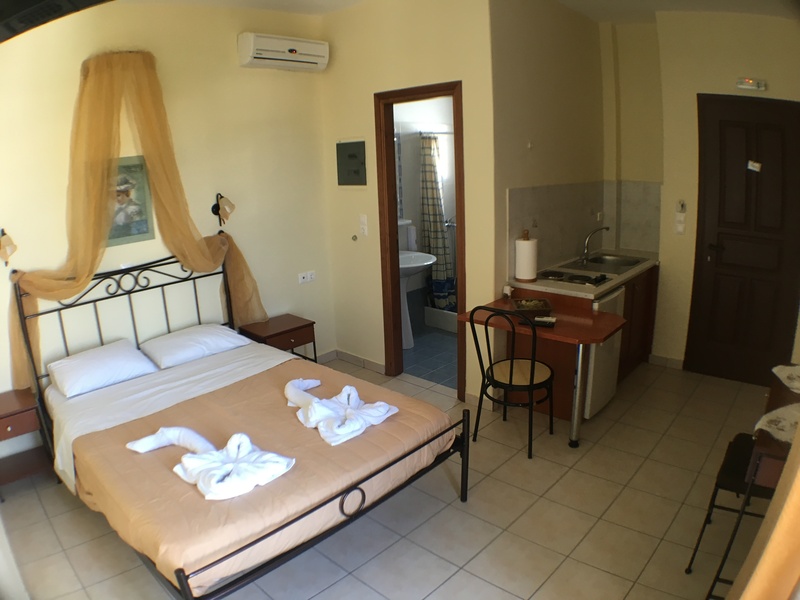 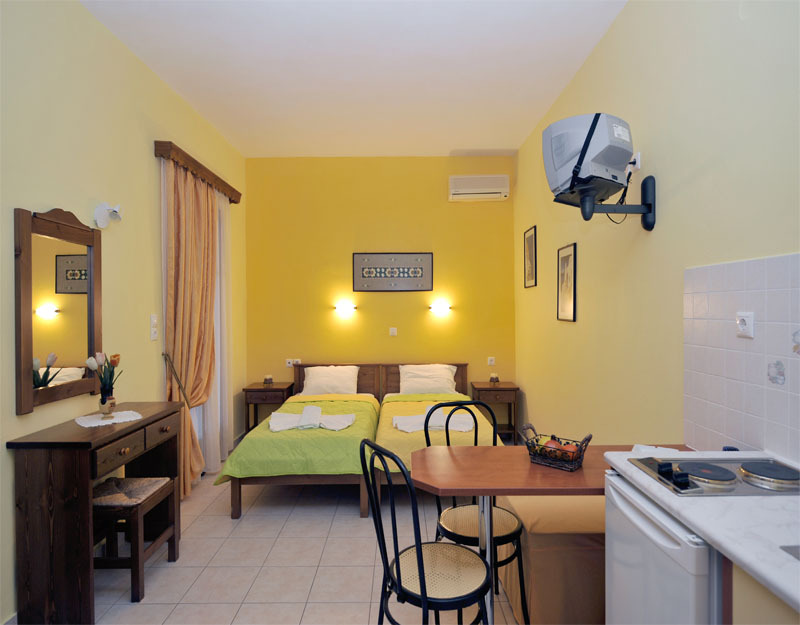 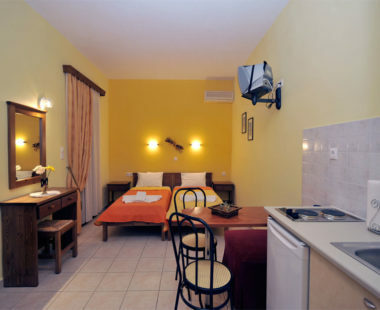 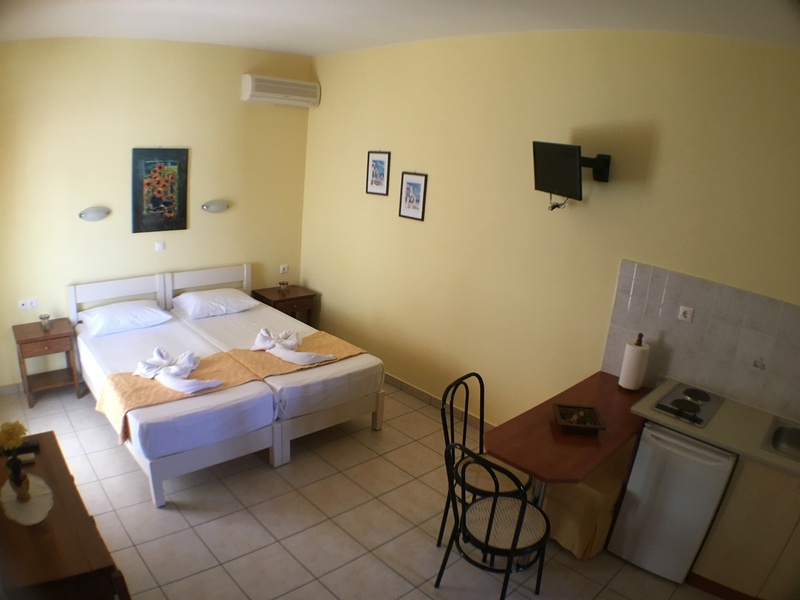 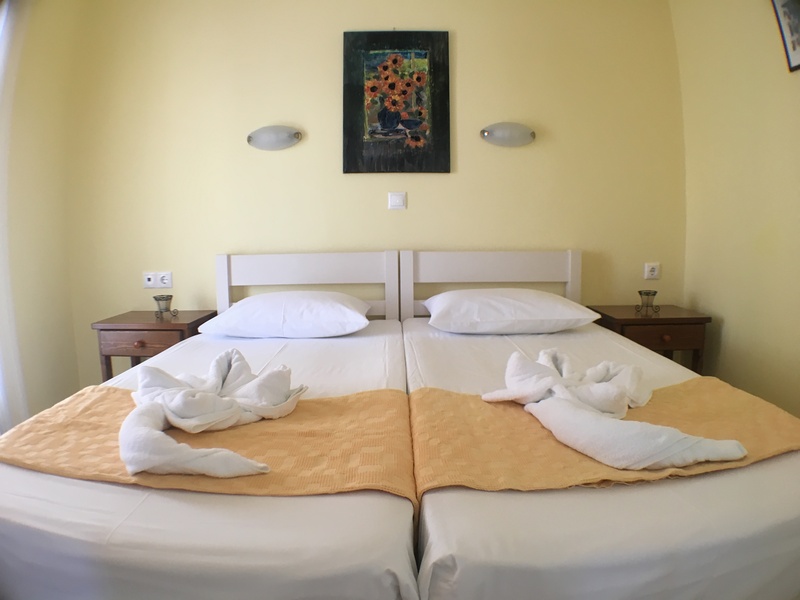 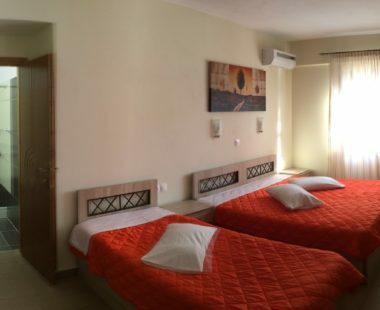 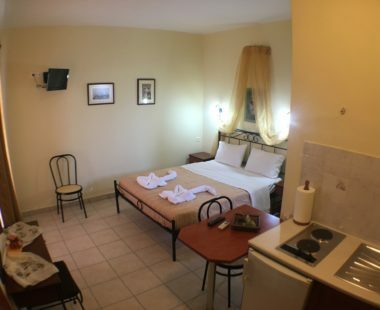 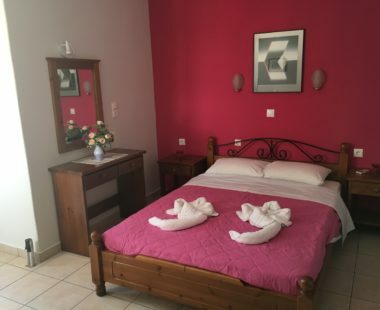 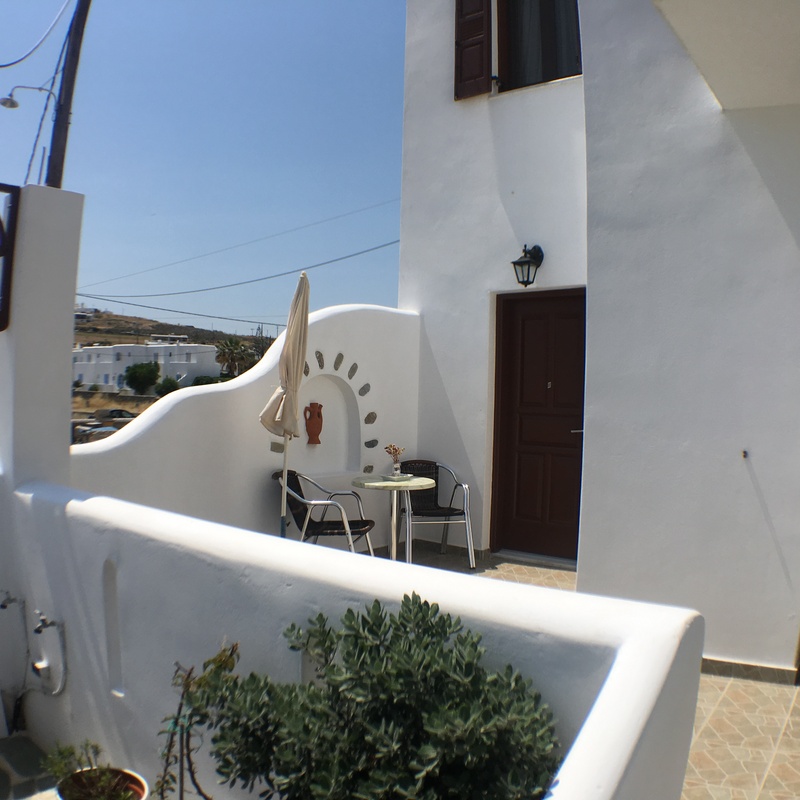 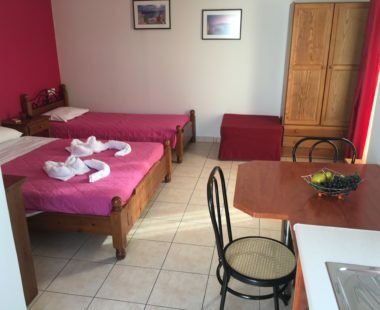 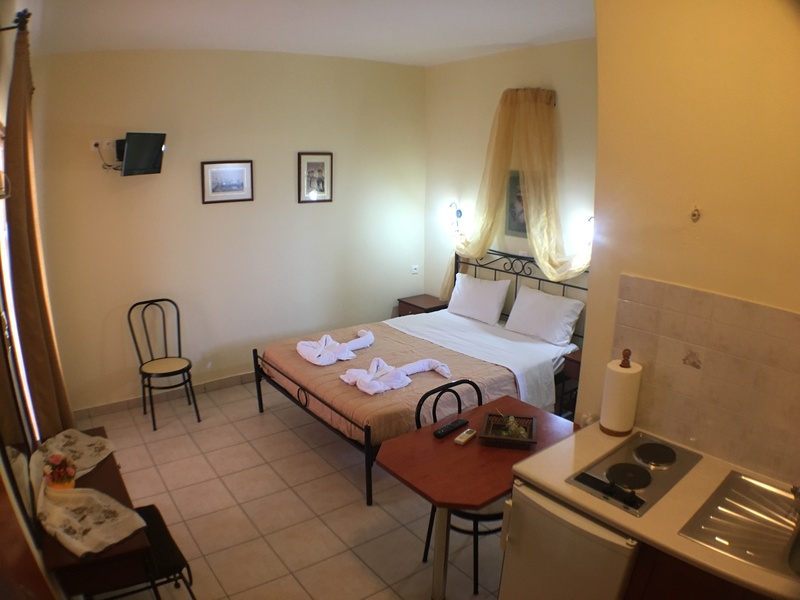 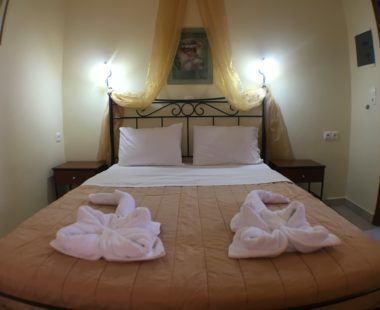 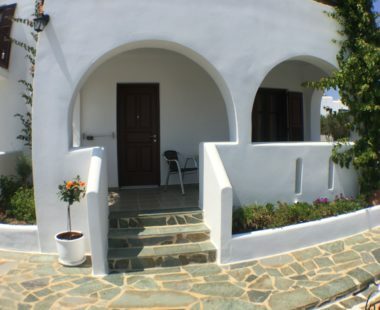 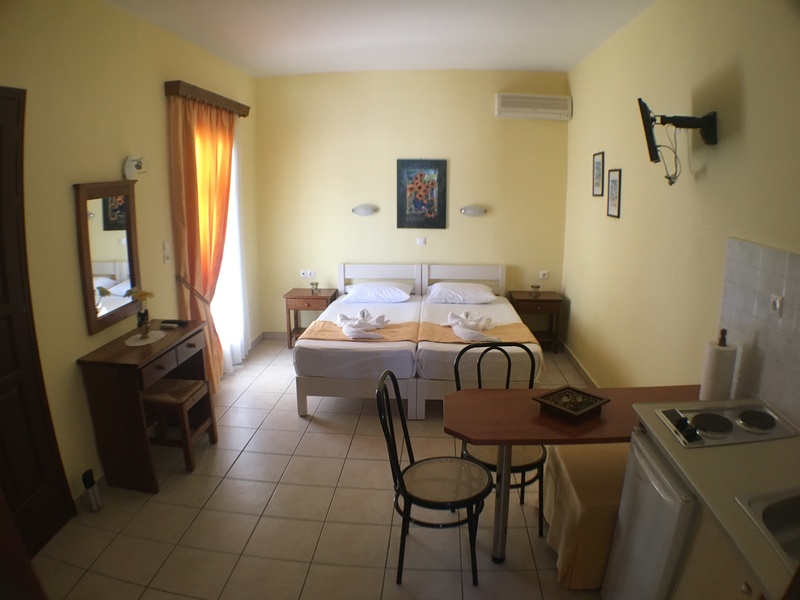 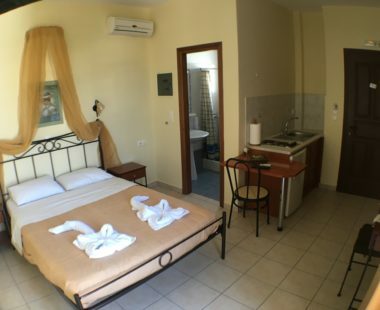 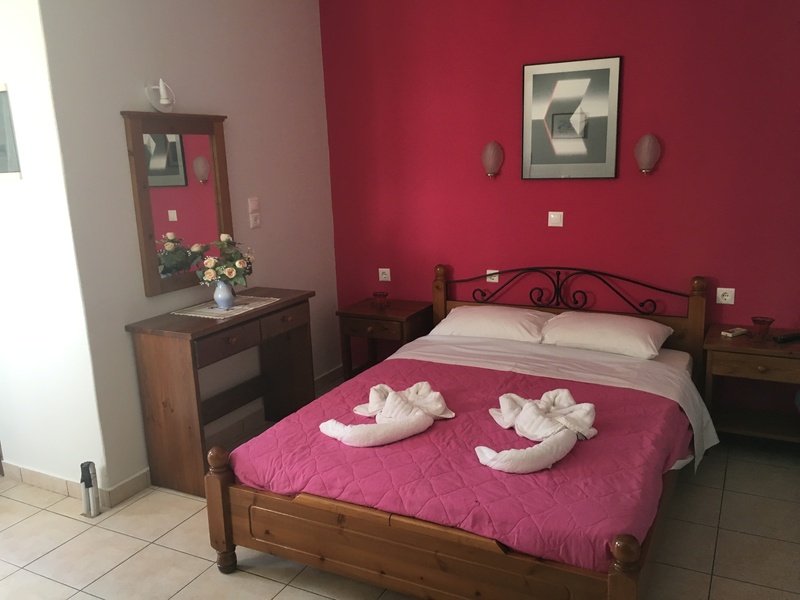 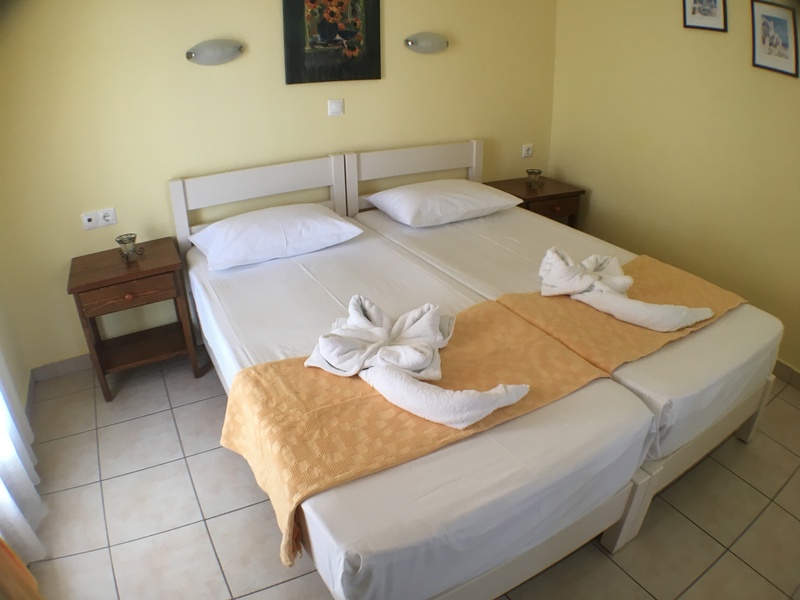 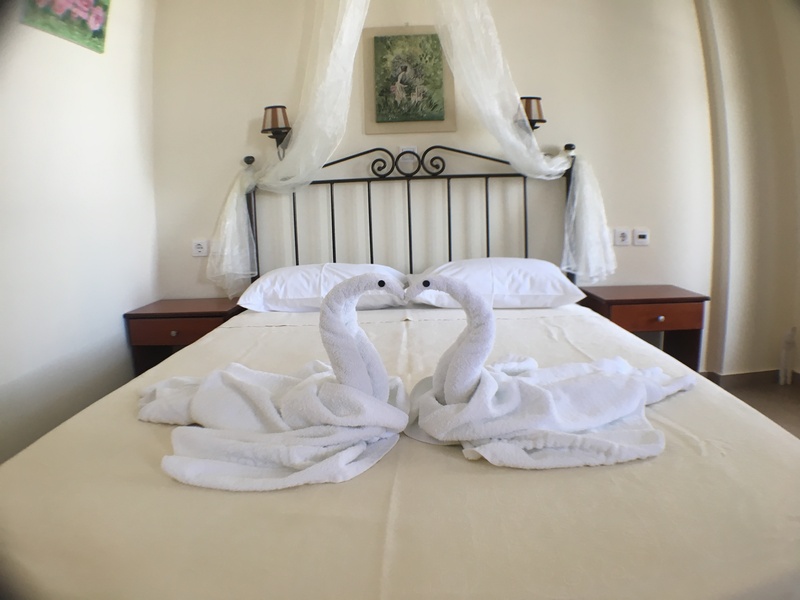 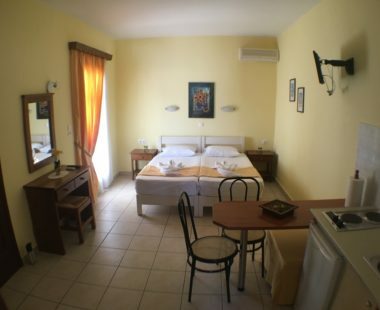 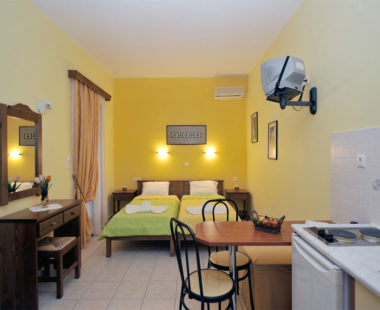 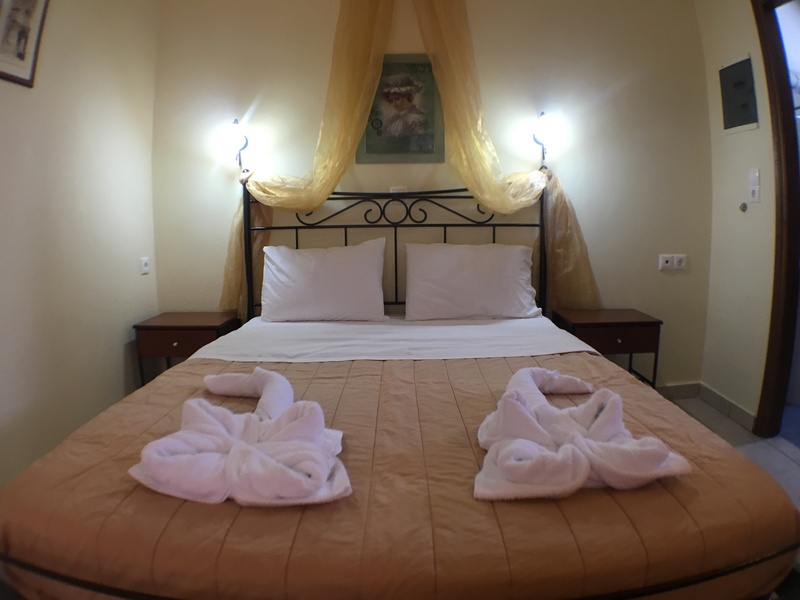 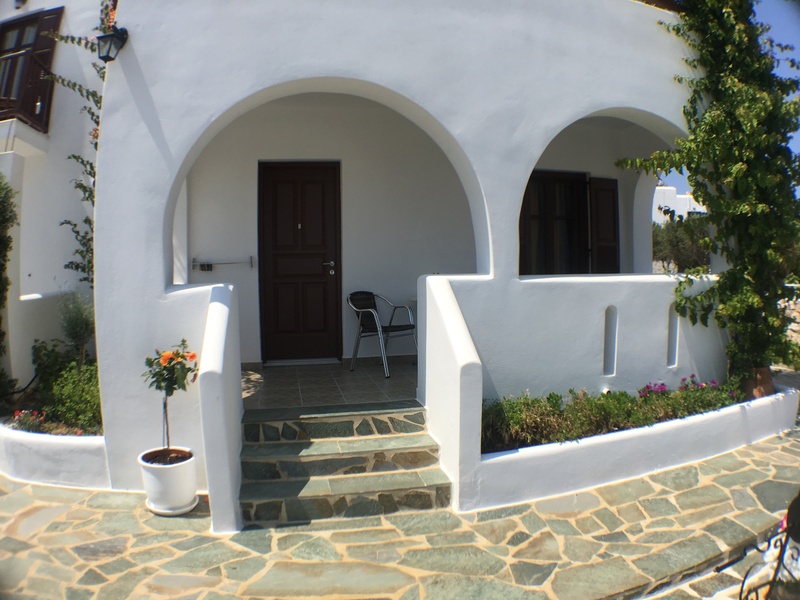 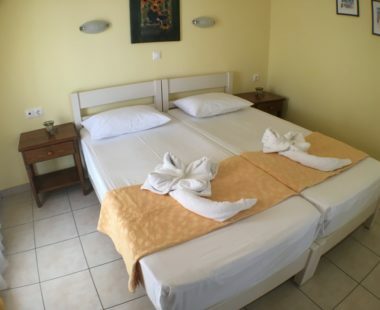 Our Studios are 25, two bed or three bed, comfortable and spacious, capable to cover up the most demanding taste, combining modern with tradiotional Cycladic style! 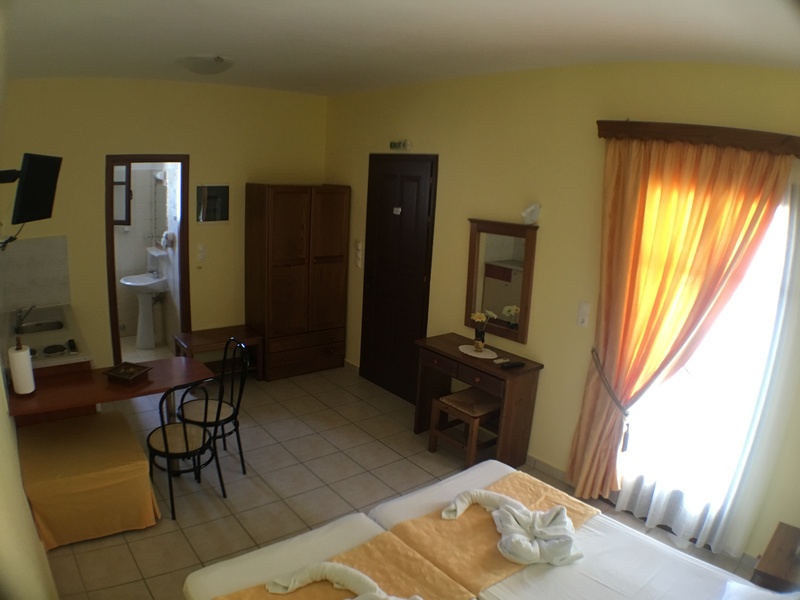 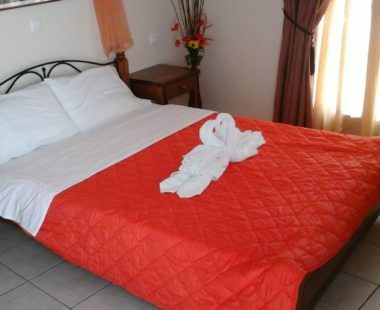 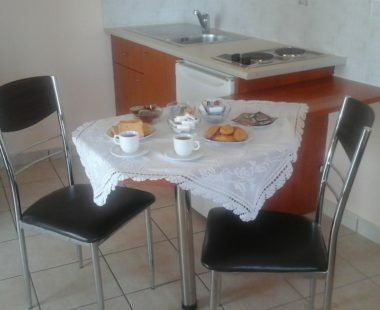 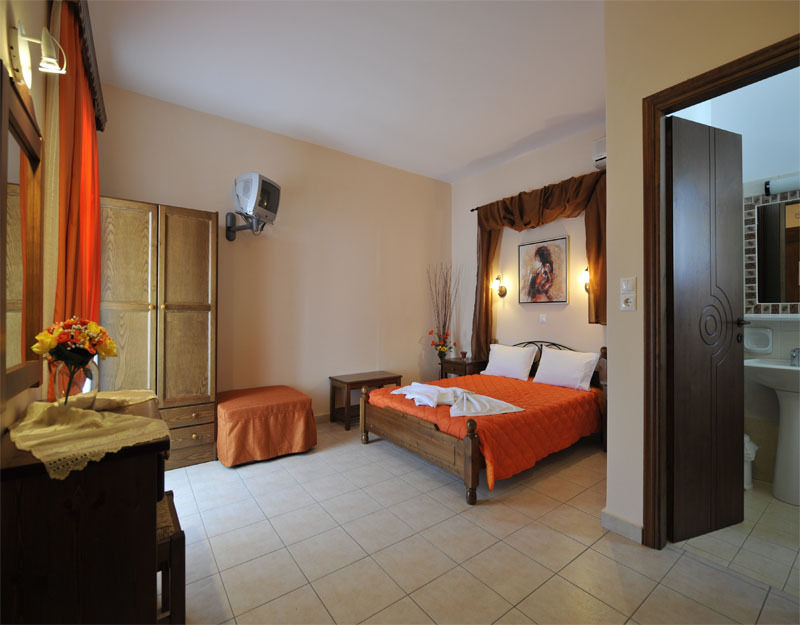 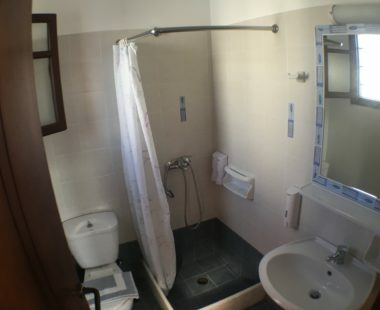 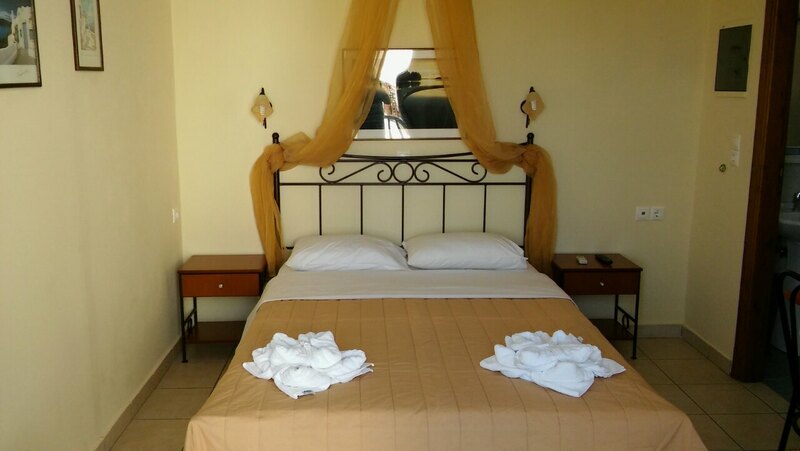 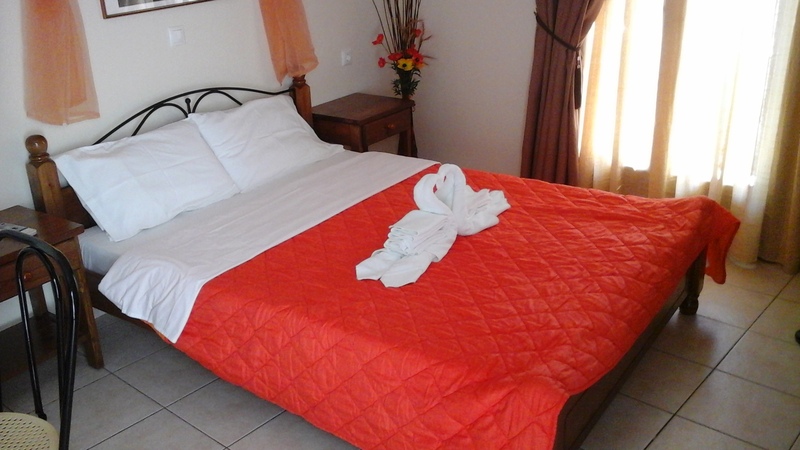 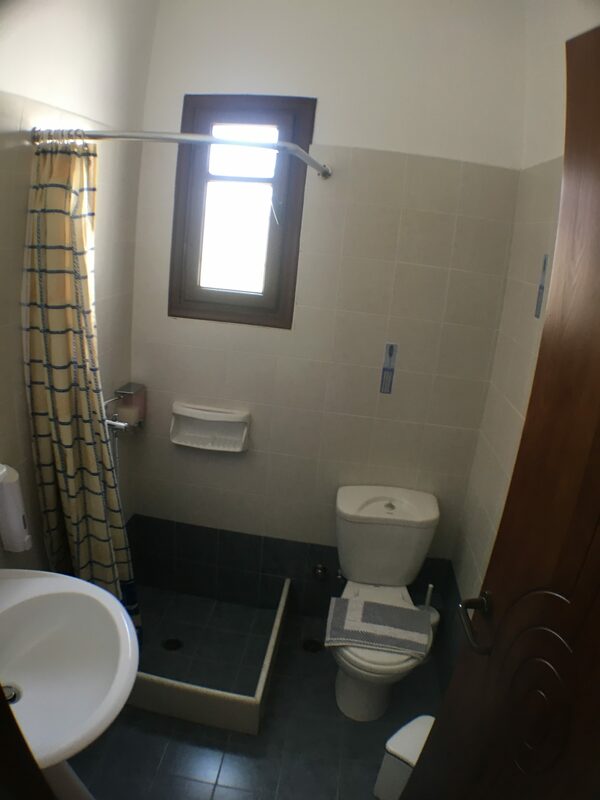 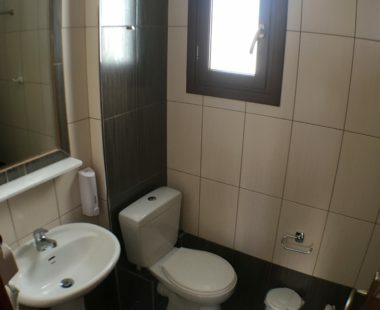 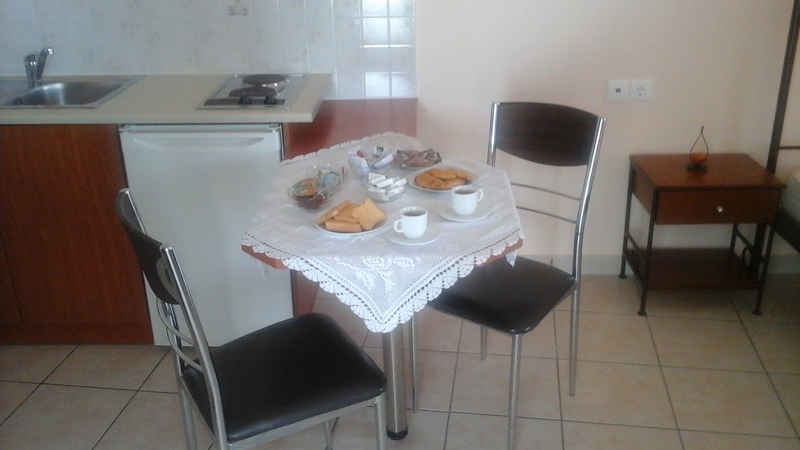 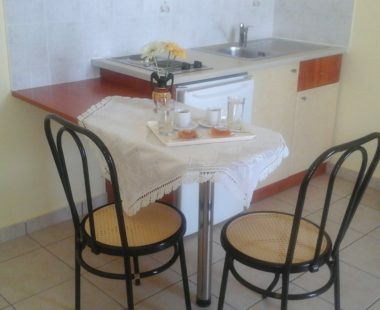 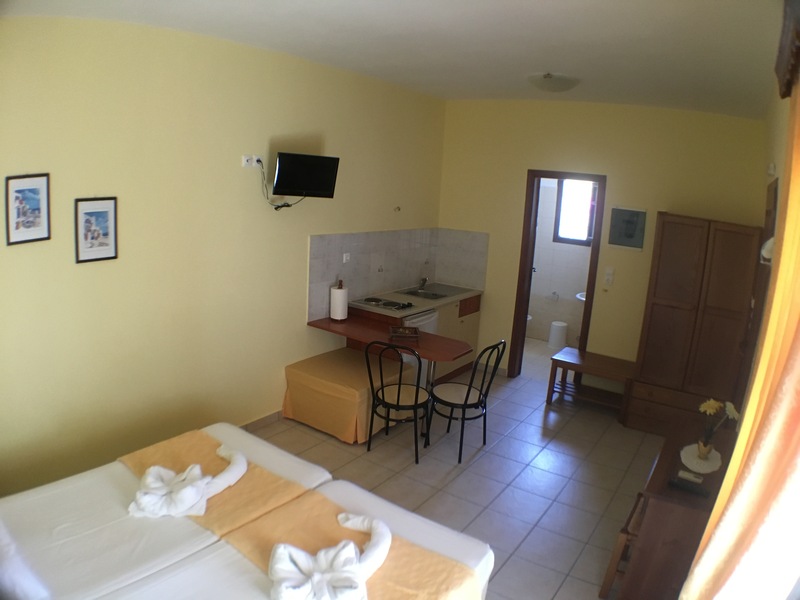 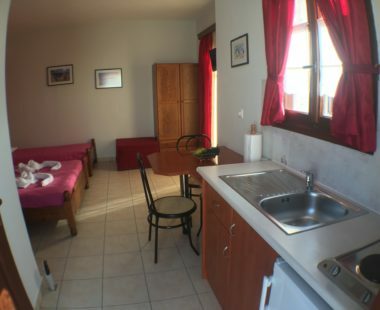 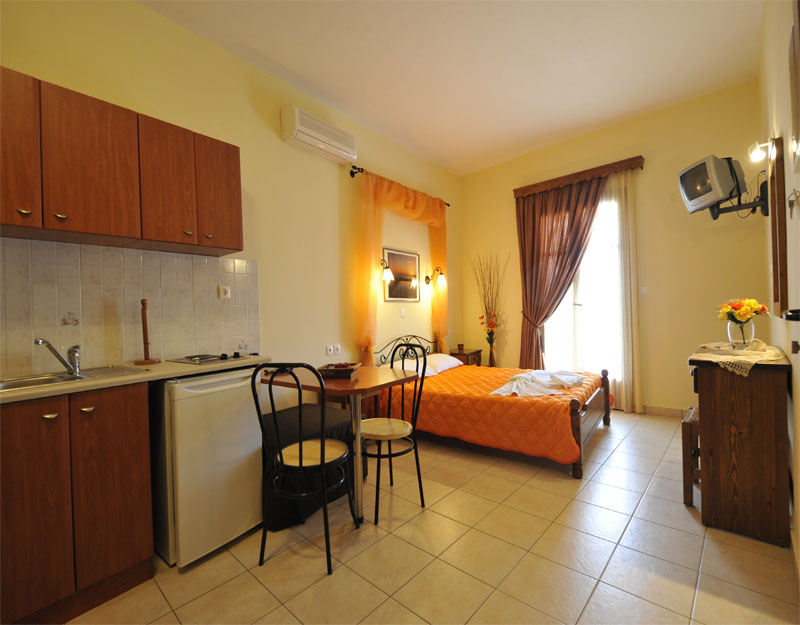 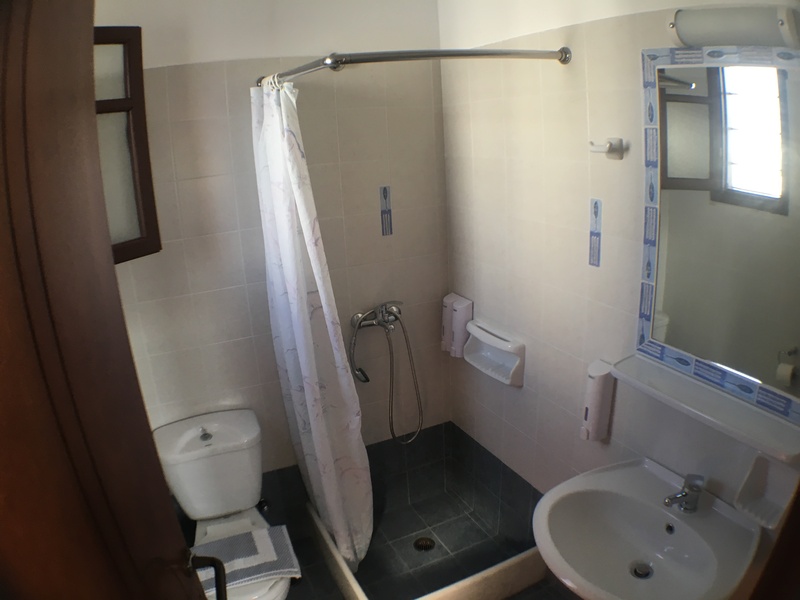 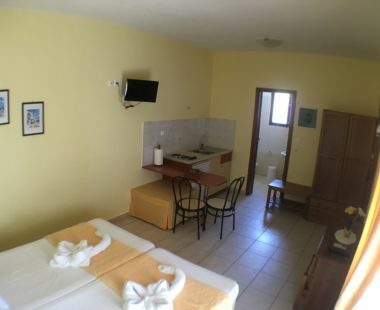 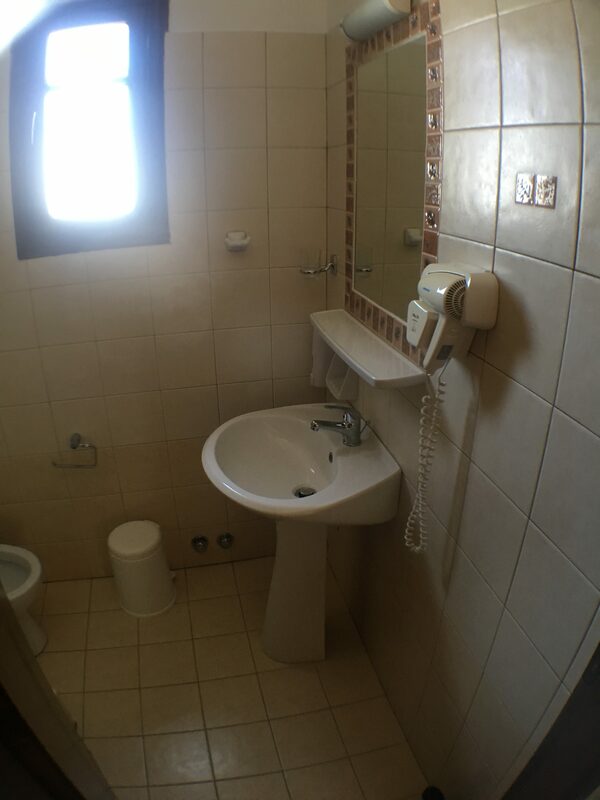 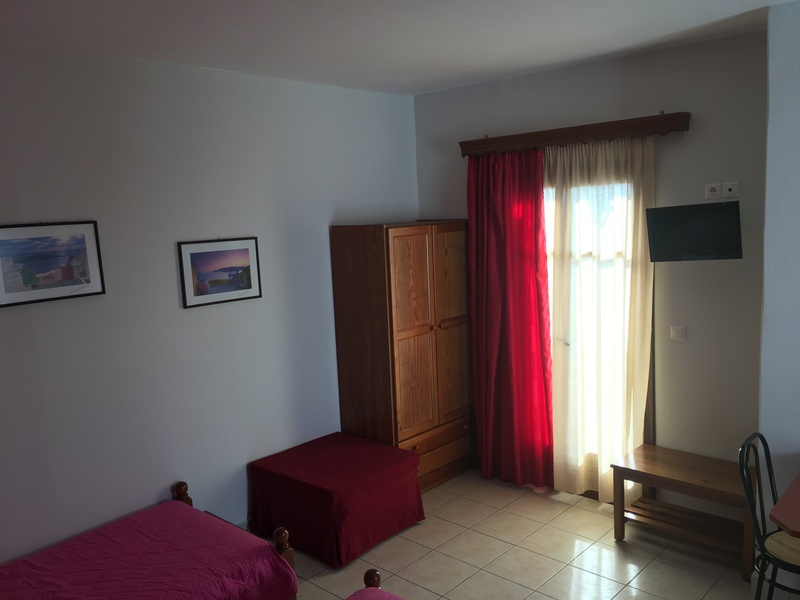 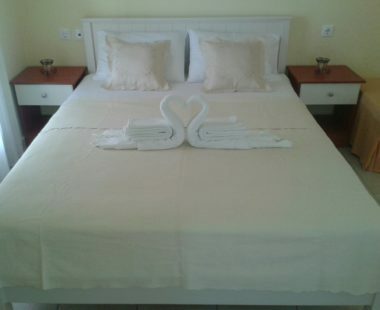 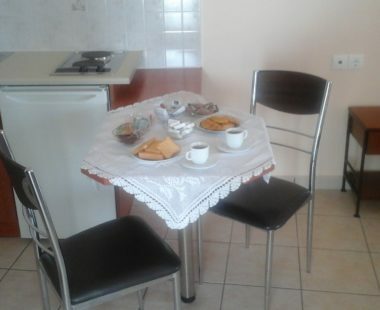 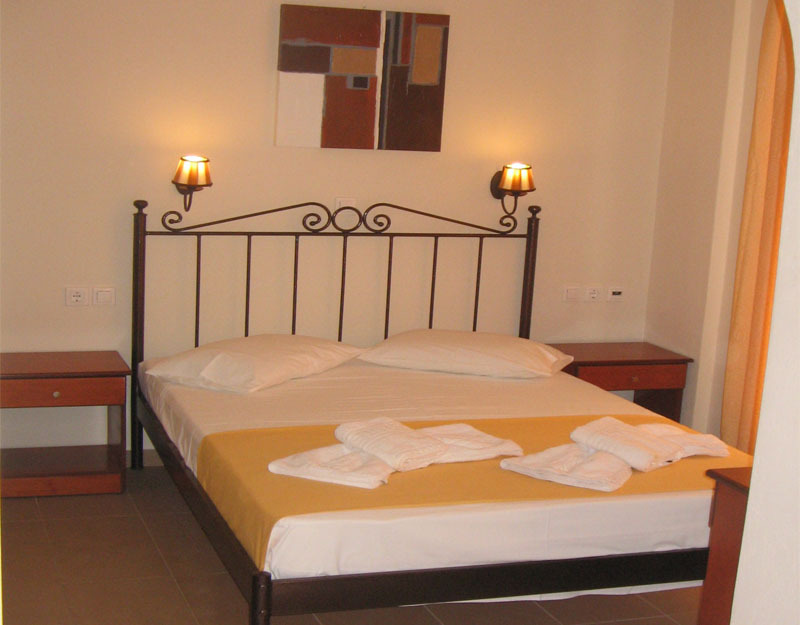 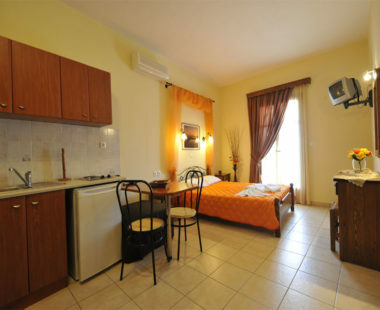 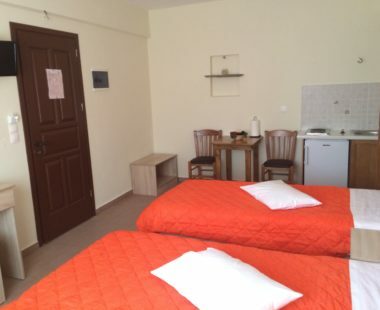 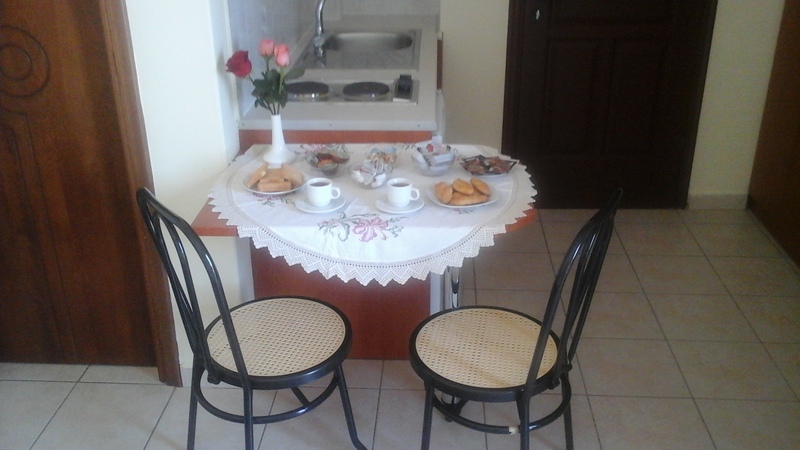 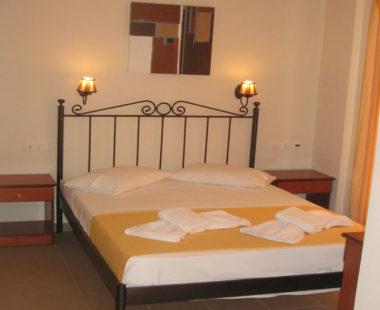 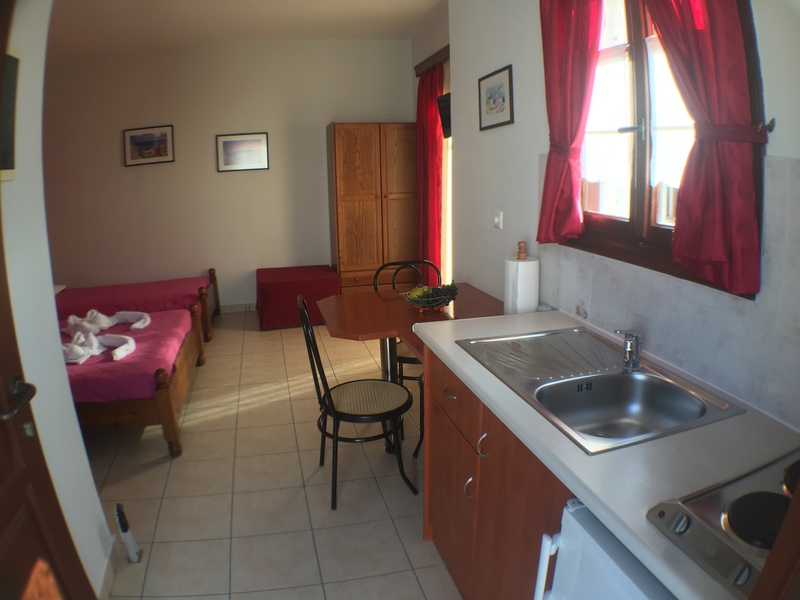 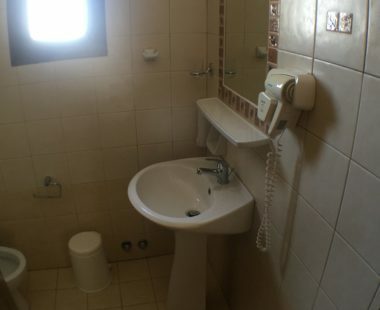 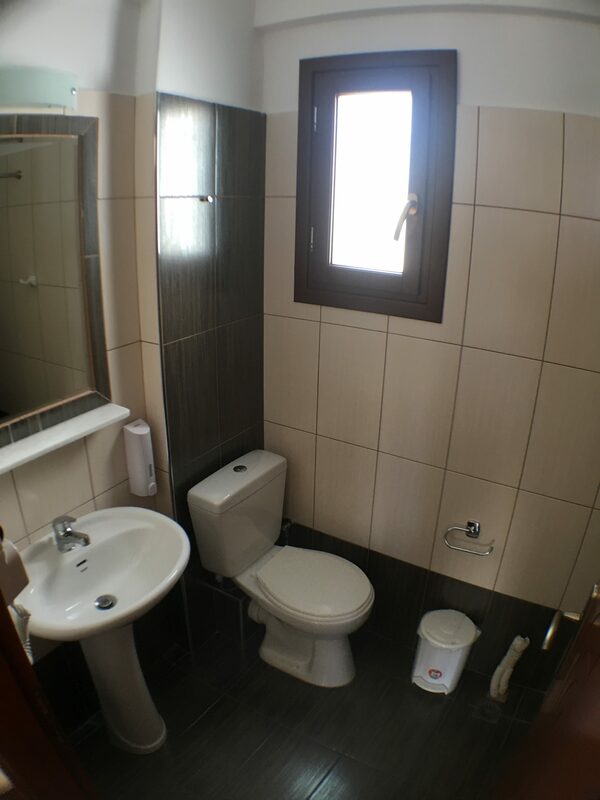 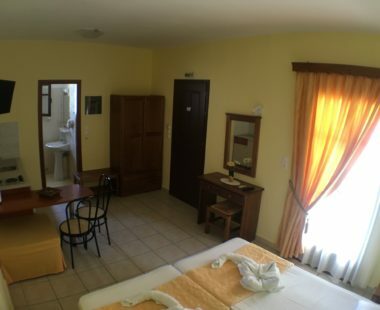 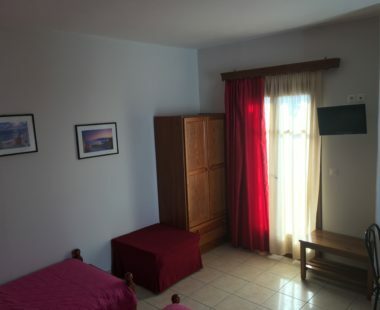 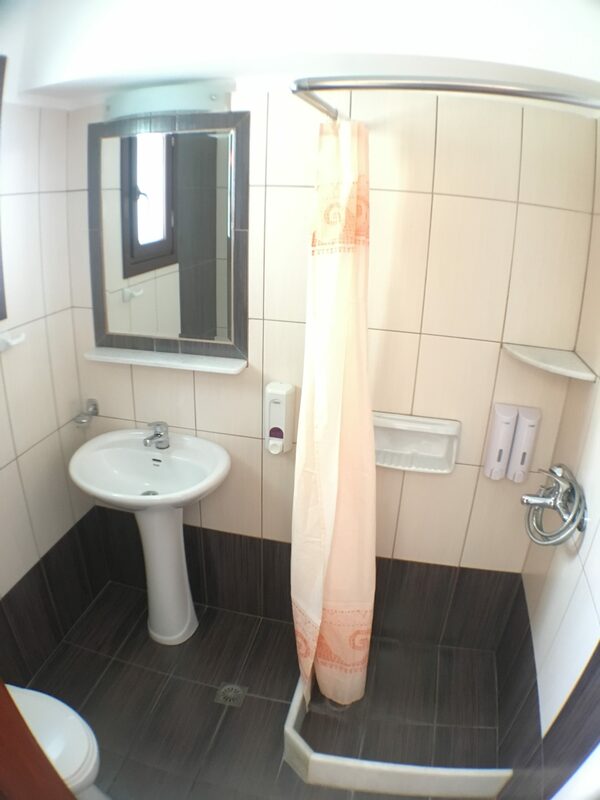 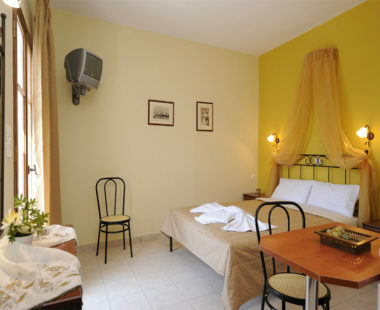 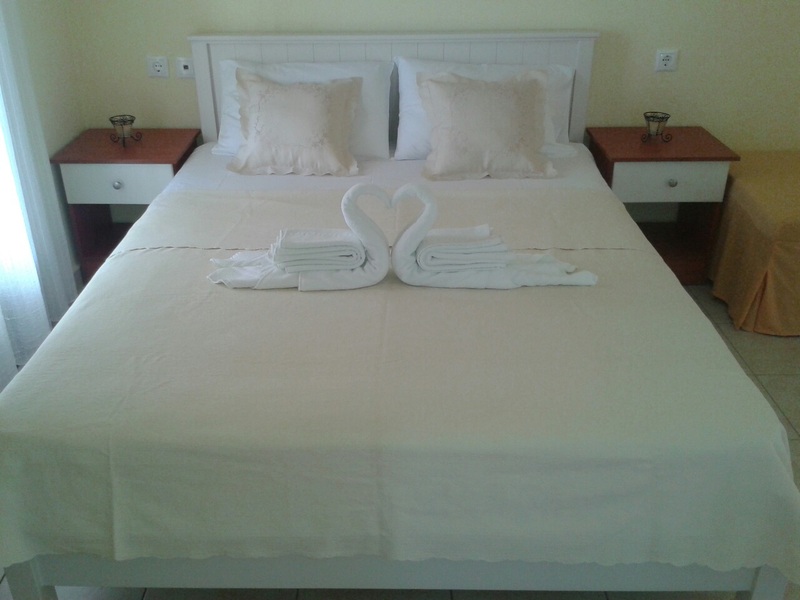 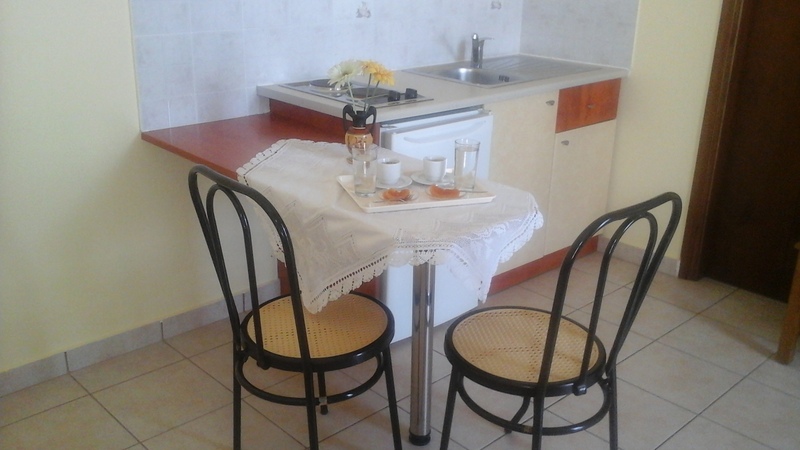 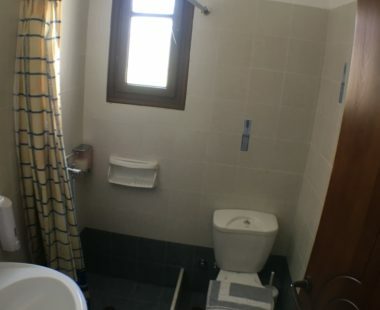 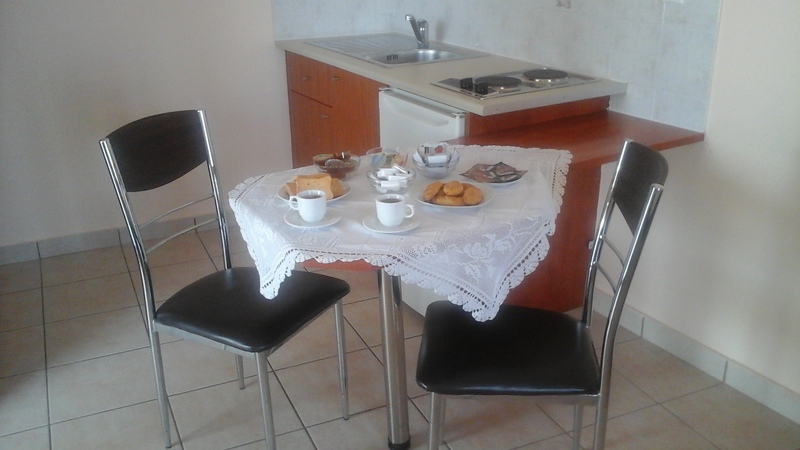 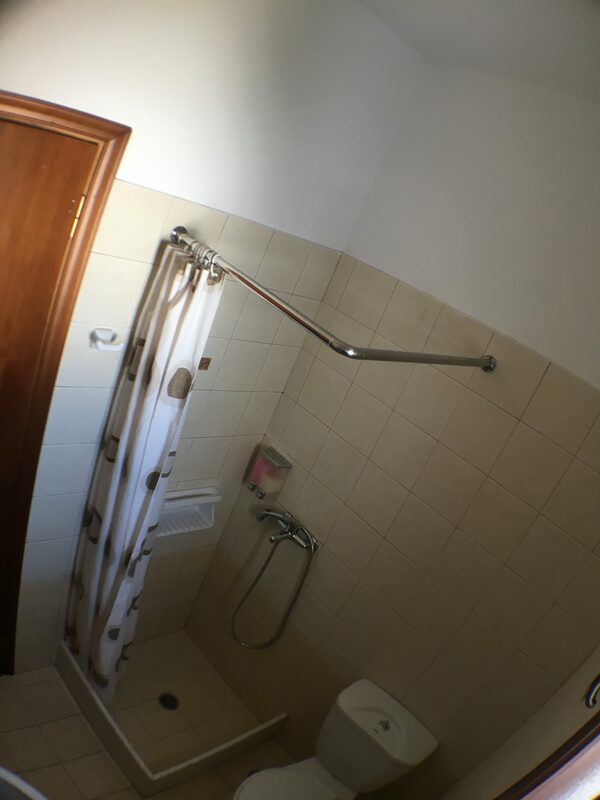 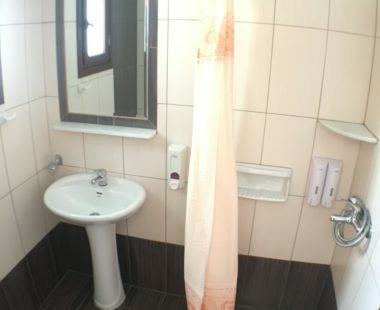 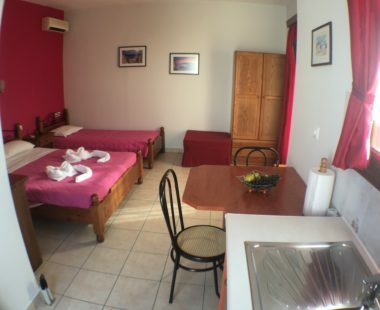 All our rooms have a dining table and private bathroom. 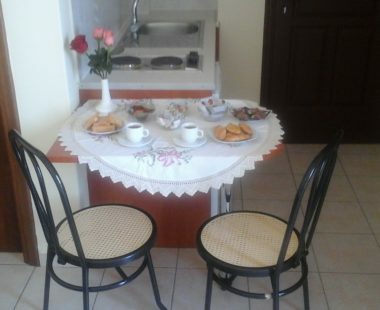 Also in the kitchen you will find breakfast ingredients in individual packaging. 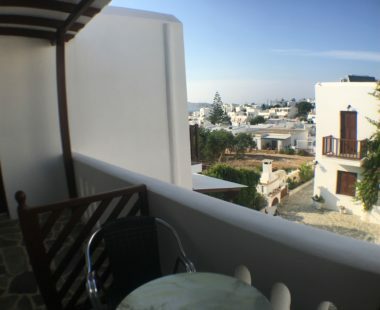 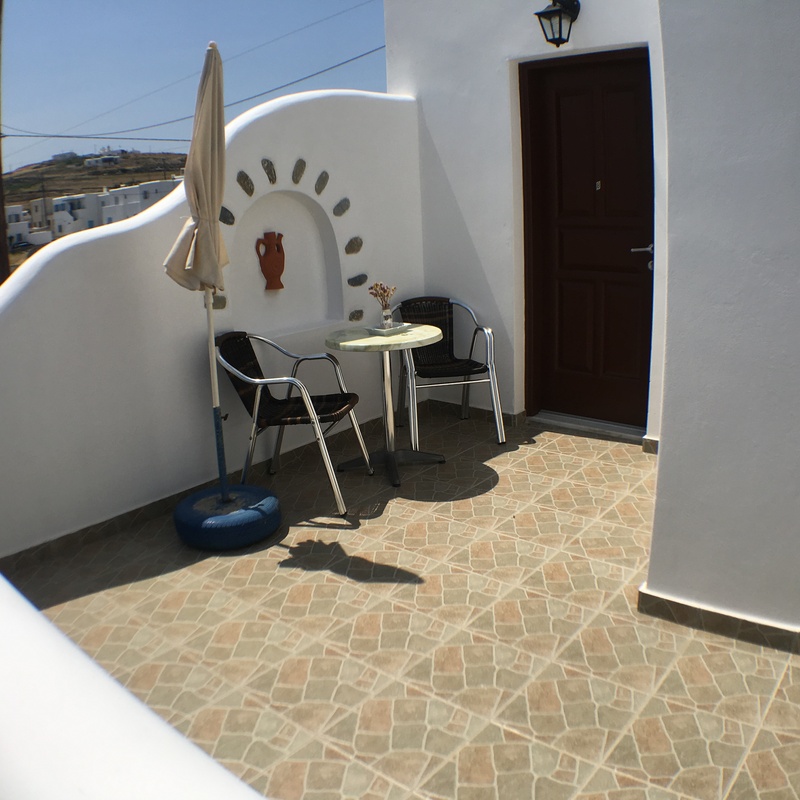 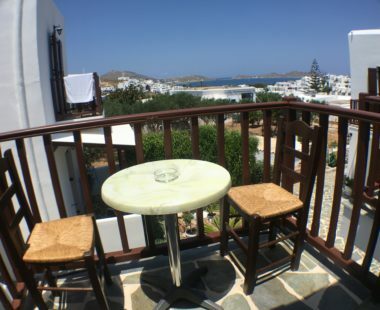 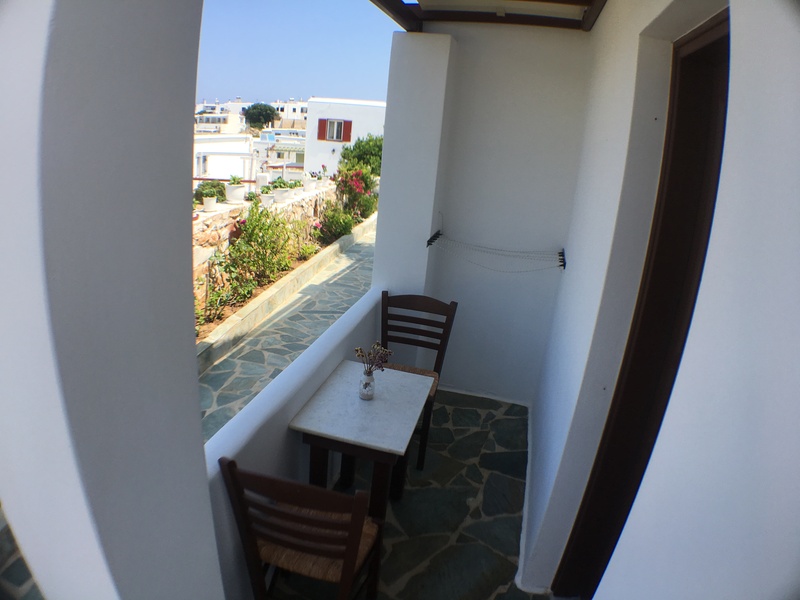 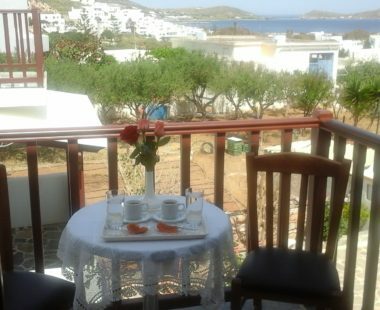 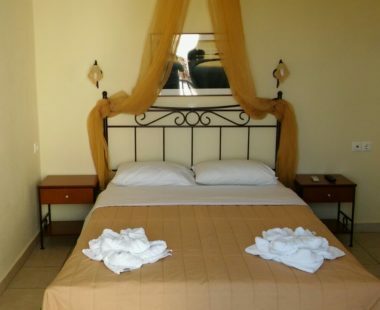 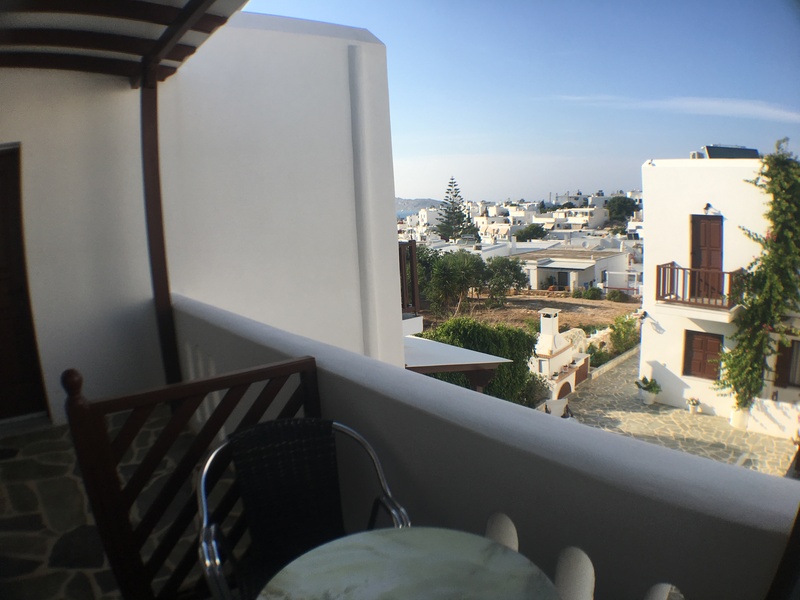 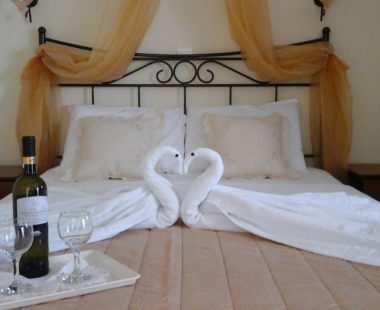 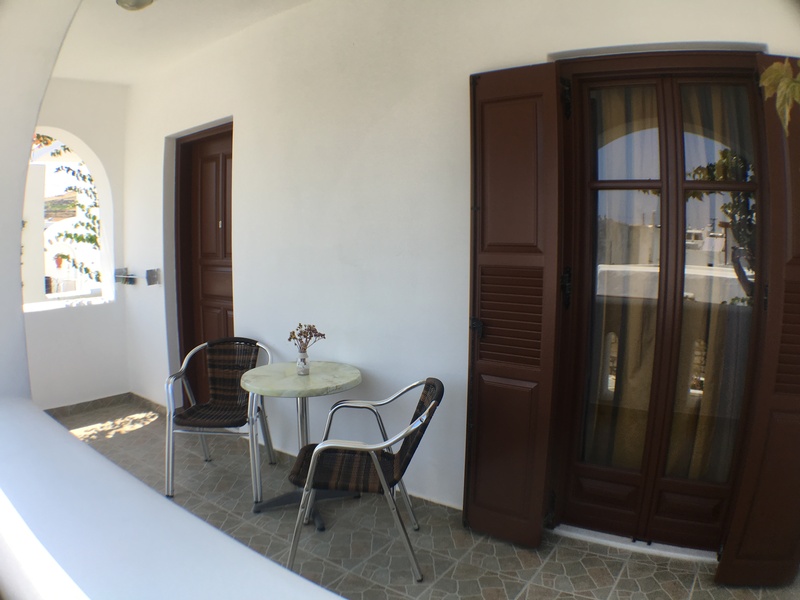 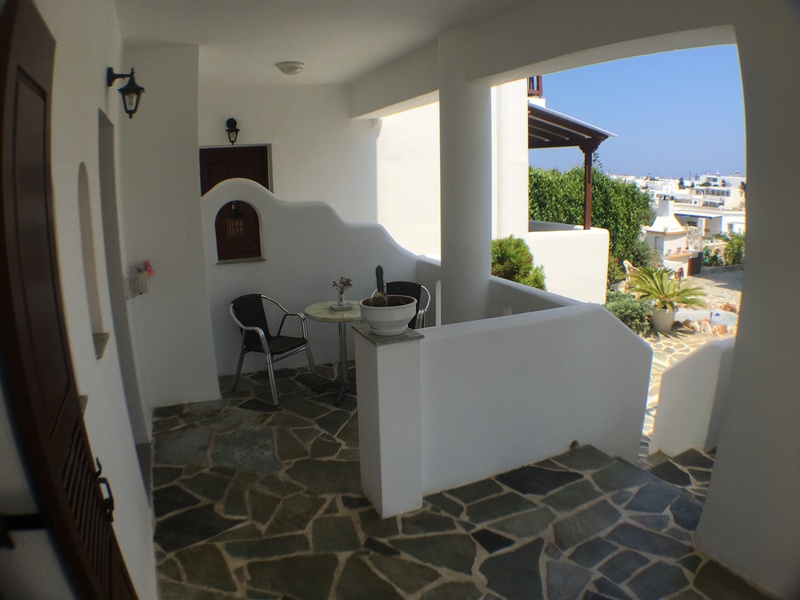 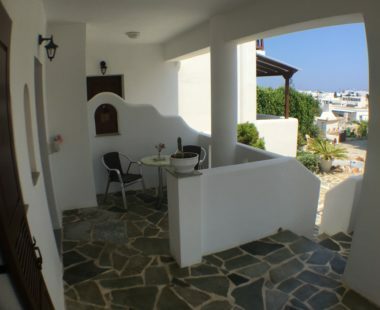 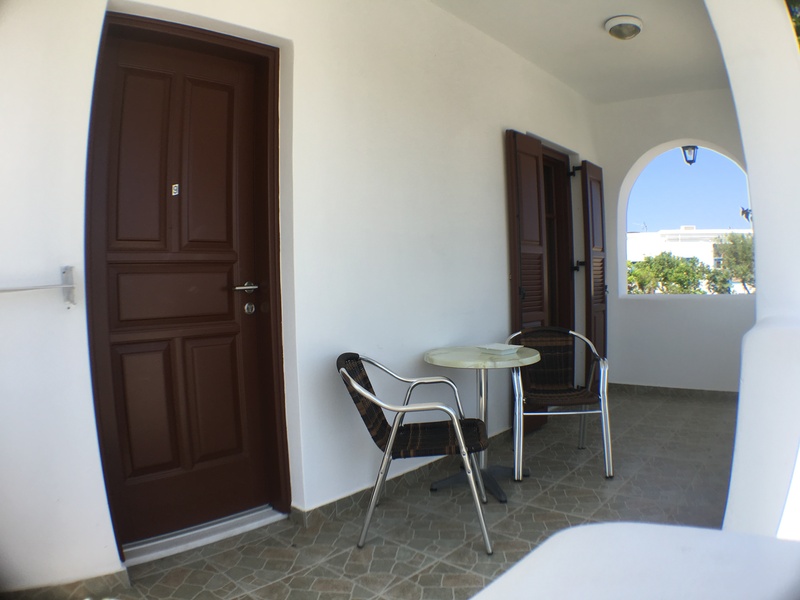 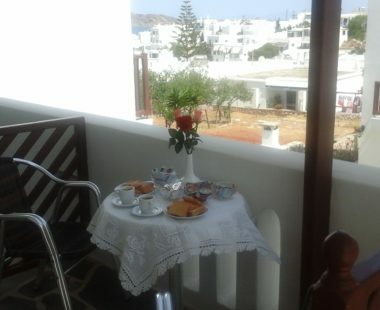 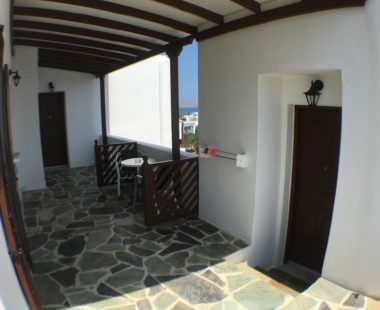 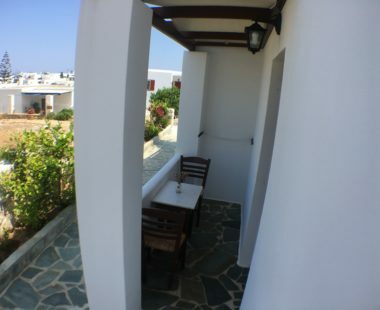 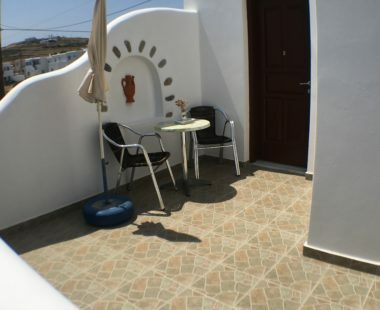 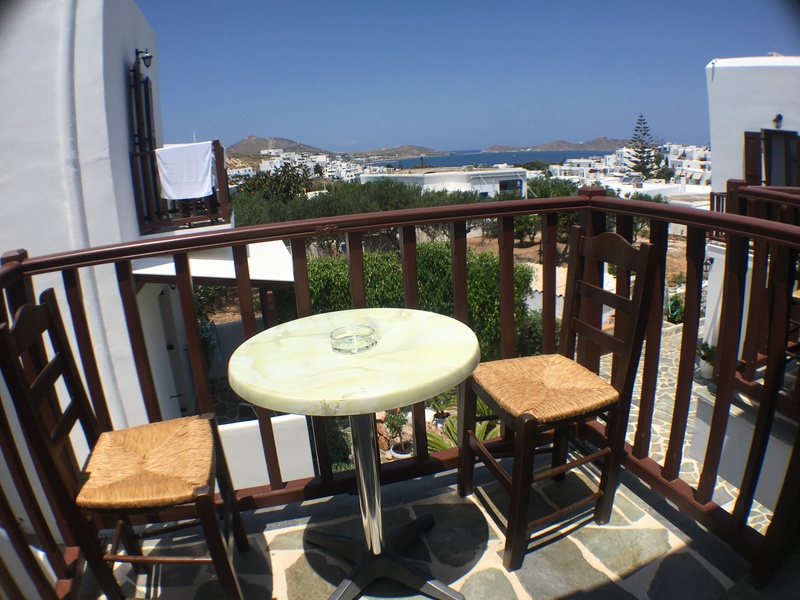 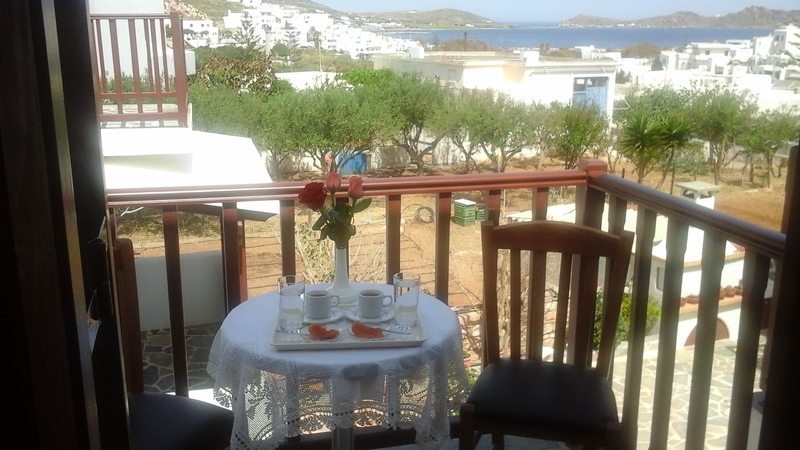 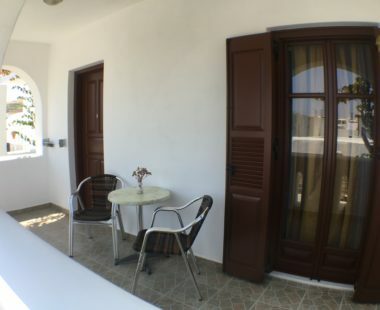 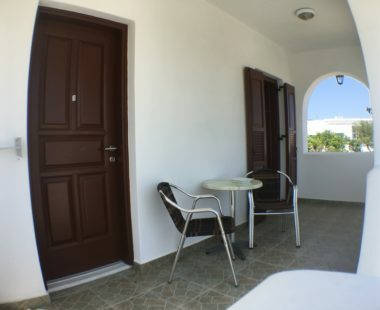 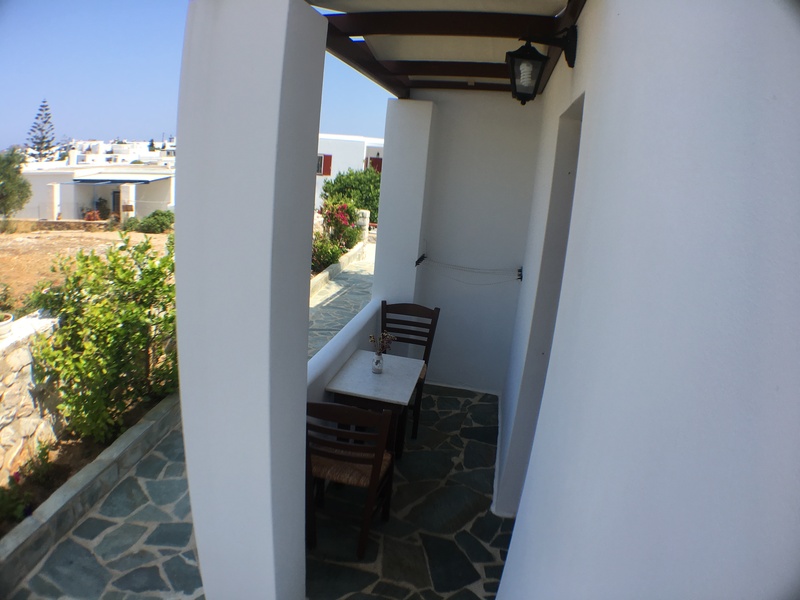 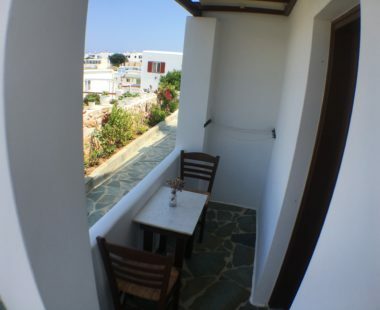 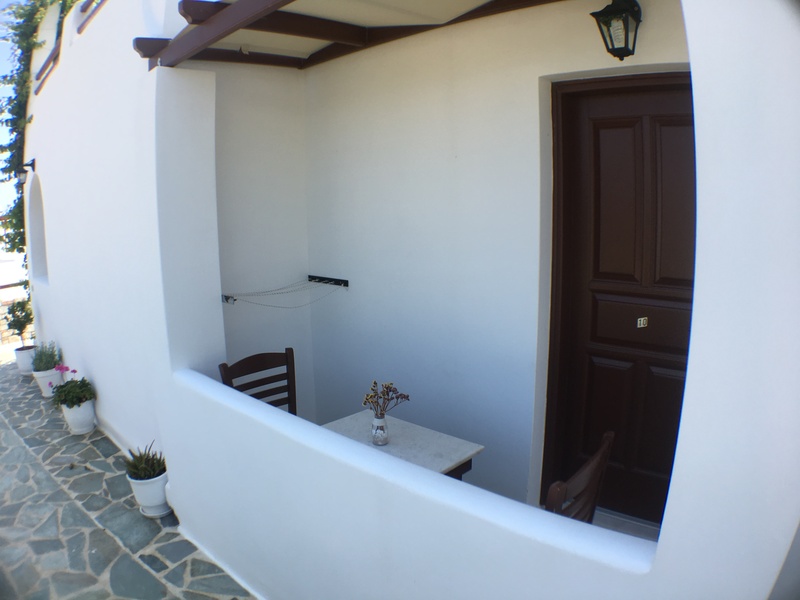 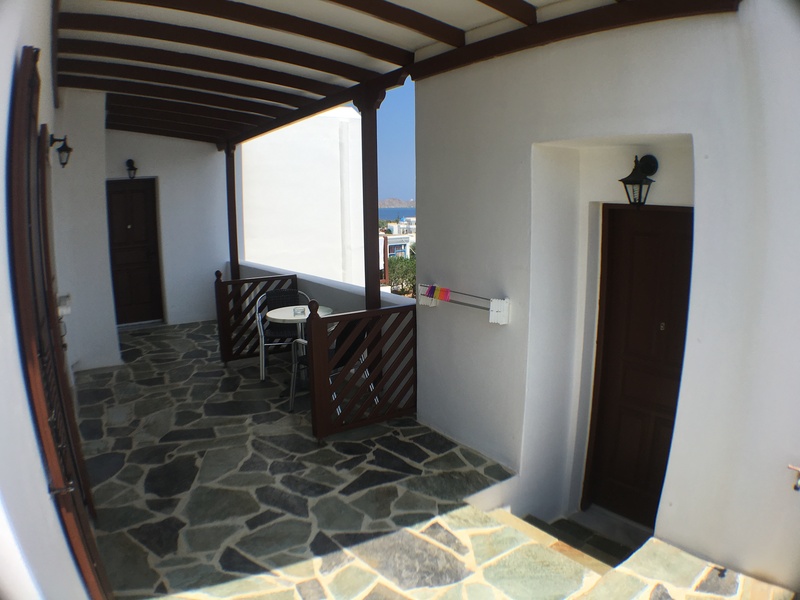 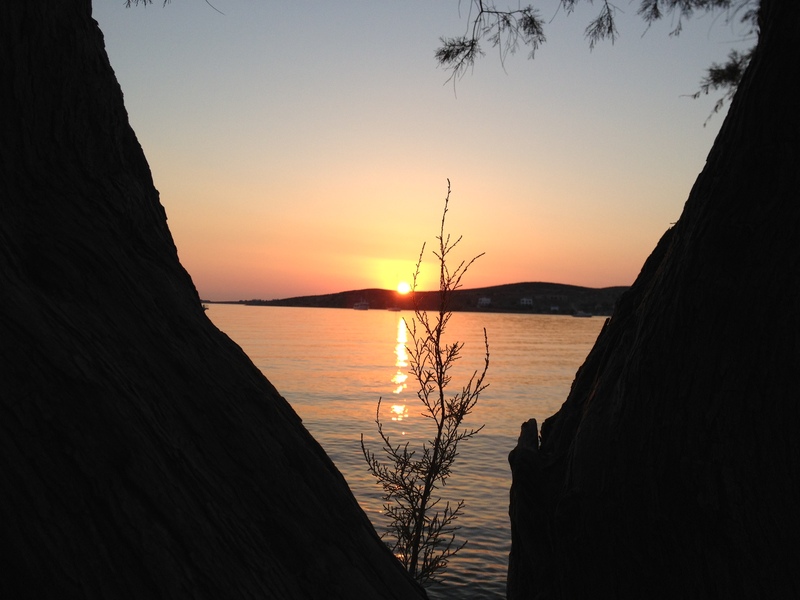 Finally, you can relax on their private balcony or terrace overlooking the picturesque port of Naousa or our garden! 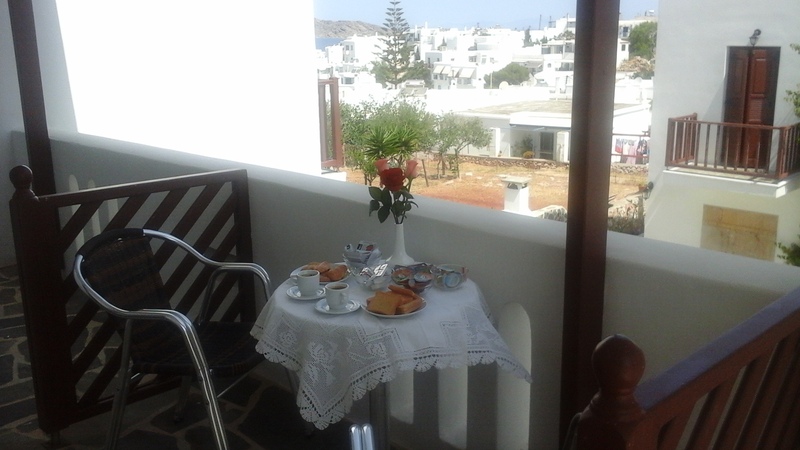 Aiolos Studios will welcome you with handmade sweets and refreshing liqueur. 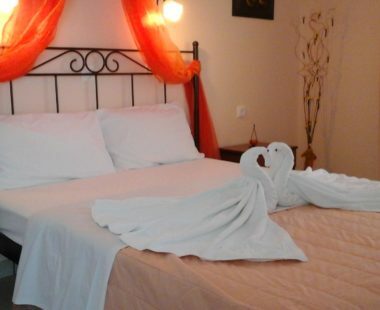 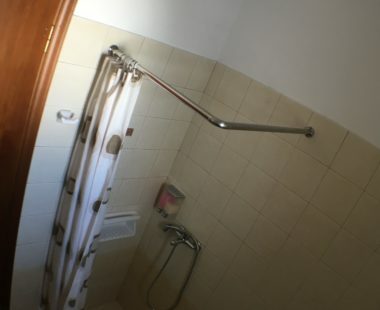 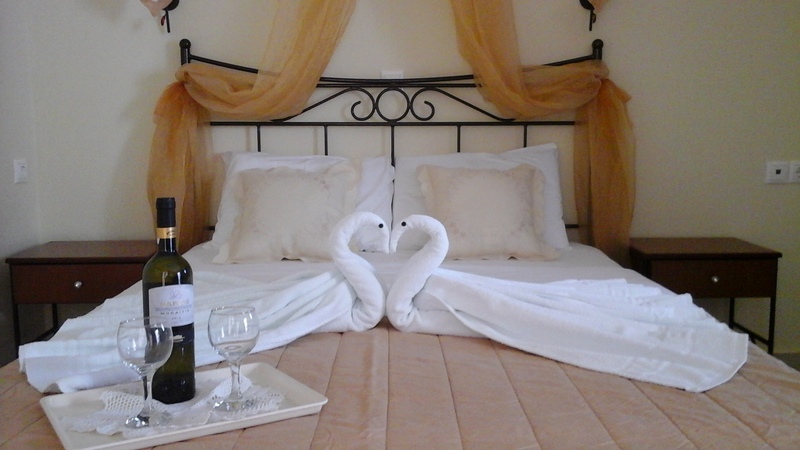 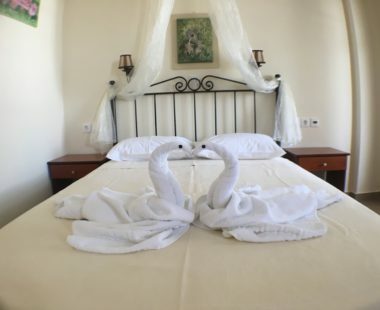 The owners strive to offer friendly and cozy stay!